Mercury Script is a retro script typeface created by Emil Karl Bertell and published by Fenotype. 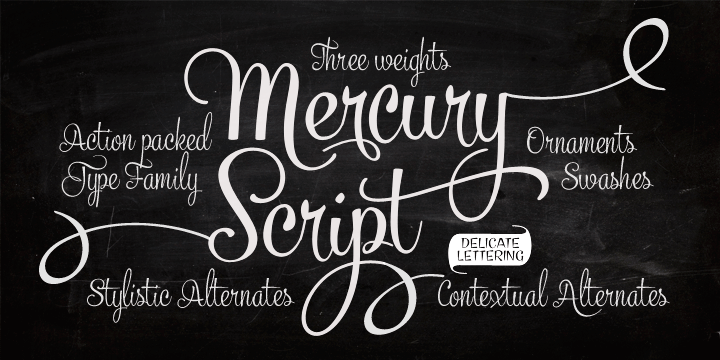 With its savvy vintage hand lettering fonts, Mercury Script combines three weights, small caps, Open Type alternates and ornaments for great writing design results. Don’t miss the retro quality of film noire designs with Mercury Script! A font description published on Wednesday, October 17th, 2012 in Emil Karl Bertell, Fenotype, Fonts by Alexandra that has 15,965 views.